…When I first began to go to Belconnen it always felt like Summer. The grass seemed always burnt and weakly green, the air shimmered, affording the outlaying hills with an almost tender haze. It was cool inside those 70s brick houses, but sweaty inside strange beds. Warm beers would condensate aside cold backyard pools, car engines ticked hotly and flying bugs tinged dully upon orange porch lights. Tempers could ignite into midday car park fights, eyes squinted against the sun while the air carries the smell of petrol and cigarettes. 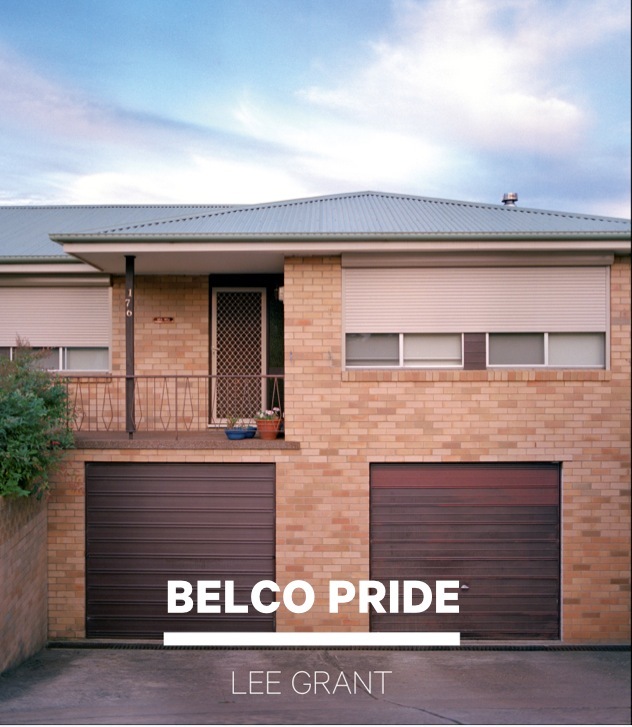 Two years ago now I discovered the work of Lee Grant for the first time, and here and now it is my absolute honour to have written an introductory essay for Grant’s book Belco Pride, accompanying her series and exhibition of the same name. 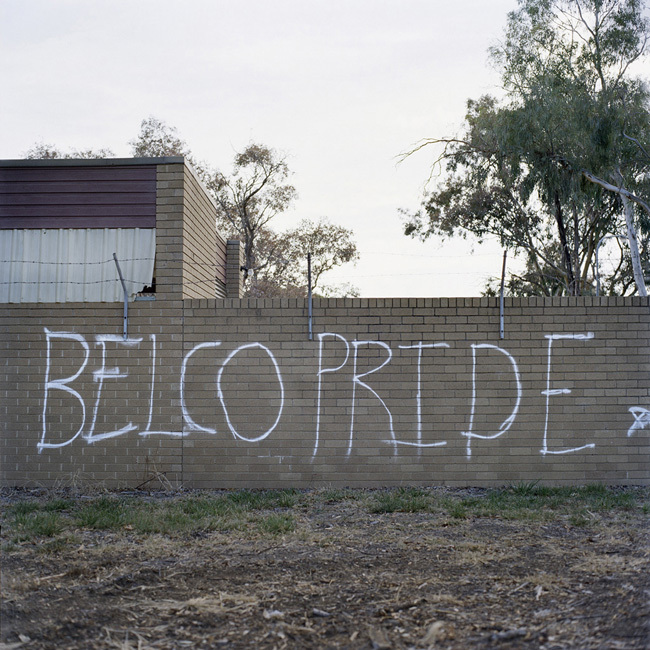 Last night Belco Pride opened at Belconnen Arts Centre – the first time these works have been shown on ‘home turf’. 45 advance copies of the book have been made available, both on display and available for purchase from the Arts Centre, with the book being released more widely in the coming months. Great intro piece – growing up in Tuggeranong was remarkably similar. Nothing like the postcards of Canberra – hot, vast, ugly, honest. Congrats to you and also to Lee.